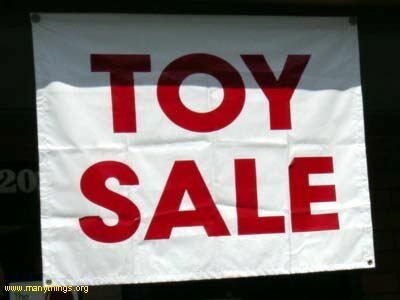 Don't Let a Toy Sale Bargain Cost Your Child's Life! The Perth department store toy sales are an opportunity for many families to stock up and save on toys for birthday or Christmas gifts, but there is a deadly hazard in some of these toys that many parents may not be aware of. Parents may be surprised as to this hazard that is present in many household items including a large number of kids toys. Button batteries are found in many kids toys, are attractive to young kids and are small enough that they can be easily swallowed.. Still many parents didn’t realise how serious a hazard these batteries present. Button batteries are responsible for many child deaths, with the most recent being a 4yo who swallowed a button battery earlier in the month in Queensland. The batteries are found in household items such as remote controls and mp3 players and unfortunately some kids toys and novelty items. If button batteries are swallowed and get stuck in the throat, saliva can cause an electrical current that sets off a chemical reaction that can cause severe, even fatal burns to the oesophagus – these burns can even continue after the battery has been removed. I had a near miss incident when my 18 month old found some batteries that had fallen under the couch after my older son had dropped a toy that was from a Perth Royal Show bag and it had broken – so putting an age limitation on toys does not really make them safe. After a report made to the ACCC, they responded saying that the toy was compliant and therefore “safe” as it had been marked “not suitable for kids aged 6 and under”. · Inspect all electronic items in your house and consider removing items with button batteries. If they are required, ensure batteries are secured with a screw within a solid compartment and always placed out of reach of children. · If you suspect your child may have swallowed a button battery or if a button battery has come into close proximity to your child and cannot be accounted for, take them straight to the emergency department, they will use a metal detector make an initial assessment and fast track them for an x-ray to confirm either way. Please share this article with your friends! Parents need to be talking to their friends and family about this hazard to ensure that all parents are aware of the very present and very real hazard present in most family homes.